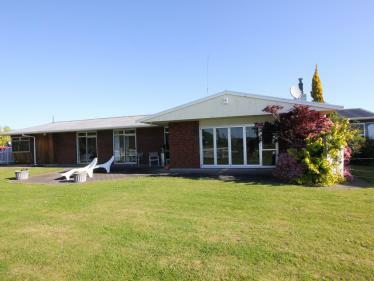 Combining true country living with the convenience of being only a short drive from the heart of Whanganui, 29 Francis Road is sure to tick many boxes. 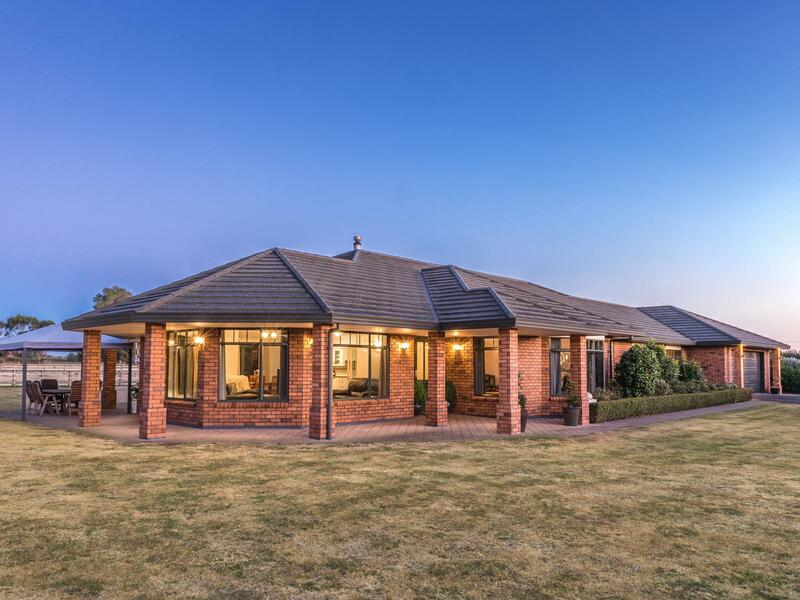 Positioned on a perfect sized 1.49ha (more or less) block in the highly sought after suburb of Westmere, this property offers an idyllic country lifestyle for the growing family. The executive brick residence has been designed and built with extraordinary attention to detail, from the finest fixtures and fittings including stunning ornate cornices and ceiling medallions to the large windows throughout the home, all with picturesque rural views. The expansive 320 sq m (more or less) of floor area provides generous space for family and friends to enjoy quality time together, or retreat to one of the many quiet areas of the stunning home for some rest and relaxation. Offering five large bedrooms, master suite with walk-in-wardrobe and en suite, a spacious family bathroom with spa bath, separate shower and his and her sinks plus a separate lounge room. The true heart of the home, however, is the grand open-plan living, dining and kitchen area, a place where many fond memories are made. In the summertime open up the doors and enjoy the fantastic indoor/outdoor flow to the pergola and beyond, and retreat inside by the large wood burner during the winter months. There is also the added benefit of extensive storage throughout, two separate toilets, a large laundry area plus double internal access garaging with an extra roller door providing access to the rear section. 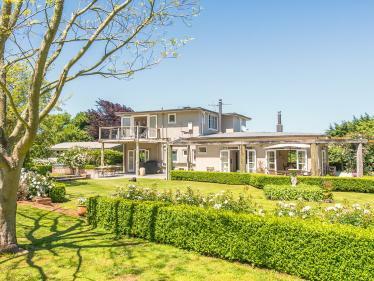 The property has been meticulously landscaped with all seasons in mind and features a variety of trees including evergreens, cherry blossoms and mature pohutukawa, manicured lawns and an established hedge lining the driveway for privacy. Westmere loam soils ensure great pasture for cattle, sheep or ponies, and there is also a three bay shed to store the boat and toys. If this sounds like the family lifestyle you've been waiting for, then call Mark today for your appointment to view.